Costco is a beloved membership-only warehouse club, known for selling a wide variety and selection of merchandise in large quantities, and their Kirkland Signature house-brand items. For customers who wander their large stores, especially over the weekends, food samples are available for taste testing to promote specific items, a very popular part of a Costco grocery run for the entire family. With a massive inventory of such a great variety of goods, it is not surprising then, for quality and safety problems to arise every once in awhile. However, a link of an outbreak of Hepatitis A to frozen berries bought at Costco, is much more serious as cases and the situation are still being assessed. This story was touched upon last week but we are slowly gathering more information about this incident. The frozen mix of berries, sold as the Townsend Farms Organic Antioxidant Blend, contain cherries, blueberries, pomegranate seeds, raspberries, and strawberries. Investigations are still ongoing from state health departments, the FDA, and the CDC but it is believed that the outbreak is traced to a specific type of pomegranate seed from Turkey. 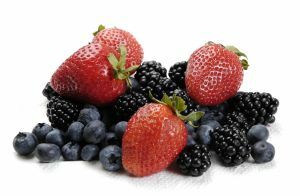 While other berries in the mix may not be contaminated, it is recommended that the entire mix be thrown out as a safety precaution. Even for those who have purchased this particular blend of berries from Townsend Farms, eaten some, and have not experienced symptoms, the rest of the product should be discarded. The contaminated product has been linked to 34 cases of acute hepatitis A in Colorado, New Mexico, Nevada, Arizona, and California since April. Of these 34 cases, 11 have needed hospitalization. Hepatitis A is a highly contagious liver disease usually transmitted through contaminated food or water, or by someone who is infected. The infected may not have practiced appropriate hand hygiene while preparing food. In rare cases, particularly win patients with pre-existing severe illness or immune compromise, infection can progress to liver failure and death. For mild cases of hepatitis A, no treatment is needed and most who are infected will recover completely with no permanent liver damage. However, if you have consumed this product in the last two weeks and have never been vaccinated, contact your health care provider to find out if you should be vaccinated regardless of if you are experiencing symptoms of illness. Vaccinations can prevent illness if given within two weeks of exposure to contaminated products. Especially for illnesses such as Hepatitis A, it is far better to be safe than sorry. Our Bay Area based attorney is glad Costco has taken proactive measures to stop the spread of this disease and has responsibly handled this situation. Townsend Farms too has been cooperating with different groups as the investigations are ongoing. However, this does not negate the fact that many individuals have become quite ill because of this incident, having to deal with the emotional, mental, and physical turmoil of Hepatitis A. Undoubtedly, someone must be held accountable for the incident and victims should and must be properly cared for and compensated because of this. Attorney Gregory Brod is determined and dedicated to helping those who have fallen victim to unfortunate situations such as these. Call today for a free consultation.